As I approach a milestone birthday I am amused by how the arc of my career has come full circle. As a brand new IBM sales trainee in 1980 my first assignment was to create a rent vs own analysis to convince companies that were renting rooms full of the IBM 029 card punch machines that they should own rather than rent the equipment. Even though the technology was moving quickly and everyone knew that the card punches would soon be obsolete, IBM made it easy for the young salesman. The breakeven point on purchasing most of these machines was 6 months or less. Even the most optimistic customers could not envision moving their systems away from cards for years, let alone months. But even with that, convincing a corporation to own vs rent was a challenge back then and hasn’t changed much over all of these years. It is interesting that the term of choice back then was “renting” the equipment. Leasing really began to evolve later in the 1980’s, built by the combination of Operating Lease Accounting initiated by FAS 13, the Tax Act of 1986 and declining interest rates from the all-time highs of the late 70’s. This also coincided with a career move from computers to commercial real estate. The early days of leasing began what has become a 35 year infatuation with a financing structure that fueled dramatic increases in real estate development, location expansion of American industry and wealth creation for developers and investors in the role of Lessor. Beginning in the late 90’s corporate leased properties began to become a recognized asset class on Wall Street as the new REIT model and large scale private equity funds began to emerge. Coming out of the 2008-09 recession, corporate leased properties saw a tremendous attraction of capital as a combination of stable yields and underlying hard asset safety. Over the last 7 years, the high volume of capital chasing a finite pool of properties has compressed yields to all-time lows and inflated property values. 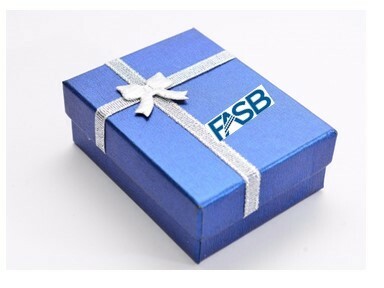 Against this history and current backdrop, the FASB and IASB began their “Leases Project” workgroup in 2006. The driving force behind this project was the failure of entities such as Enron and WorldCom who, it was discovered (too late), had created significant off Balance Sheet entities and obligations that eventually caused their demise. Ultimately, the Leases Project was to be about transparency for investors by bringing trillions of dollars of off Balance Sheet lease obligations in full view of analysts and investors. It took until the end of 2015 for the Boards and various constituencies to agree and publish the new Standards (ASC 842 and IFRS 16) with transition dates beginning in 2019 for public companies. From the time of the first Exposure Draft in 2010, our firm has been working with corporations, software providers and accounting firms to develop systems and processes to meet the compliance requirements. A few companies started early, the majority waited until the final standards were published and are working feverishly to meet the deadlines. Over the last six years, while simply finding all of the leases and constructing the systems to track and report the new calculations was the primary challenge, we began to model the data we had collected and provide analysis on the impacts that leasing under the new standards would have on Net Income, Earnings per Share and overall Enterprise Value. For most of the Fortune 500 companies, the findings were quite dramatic. But, in putting this onerous compliance obligation on companies, the Financial Boards may have inadvertently provided shareholders with a hidden gift. Companies that are entering new 10 to 20 year leases on major core properties can expect a 20% to 35% adverse net income impact when leasing is compared to ownership using alternative financing options. Companies with a large number of Ground leases could affect a significant (>75%) Net Income improvement if they were able to own rather than lease the ground. Companies considering large scale, long term sale leaseback transactions should immediately reconsider alternative structures. Some of these factors existed prior to the changes to Lease Accounting. However, now that the lease obligations will go on the Balance Sheet, and create negative net income and net equity impacts, there should be new motivation to reevaluate these traditional approaches. When we have presented these findings to corporate management, the responses while 100% consistent among different companies, have been confounding. The fact is that most companies are not yet equipped to process or react to this information, let alone to take action that is outside of the norms that they have operated under for 35 years. Like almost every major disruptive change in business, there will be an early mover advantage. In the long run, we could envision for many large portfolio companies the establishment of a real estate or asset management subsidiary that takes advantage of these potential savings for the organization. Leasing will still be important financial tool, but the benefits of ownership accounting treatment combined with the fact that companies stay at a majority of their locations for over 20 years is more easily defined as a common sense test. The fact that corporate finance and treasury teams are not sure who owns these types of decisions will necessitate better cross functional training and collaboration. But the analysis and numbers tell the story. So while the breakeven points may be a bit longer than the 6 months from my card punch experience, the new Standards for Accounting for Leases have truly provided a gift for companies seeking improved financial performance. The compilation of all of this data has provided a very clear picture of the true cost of leasing and initiated awareness as to finding a better way. With the sophistication of the capital markets and strong demand from investors in corporate credit (the availability of such for investors has been greatly reduced by stock repurchases and debt redemption) there are new structures to finance ownership at lower costs of capital without using all of their own cash. This also may be a great use of newly repatriated earnings under the recent tax legislation. Overall, this may be the largest profit improvement opportunity that many companies will be presented with for quite some time.